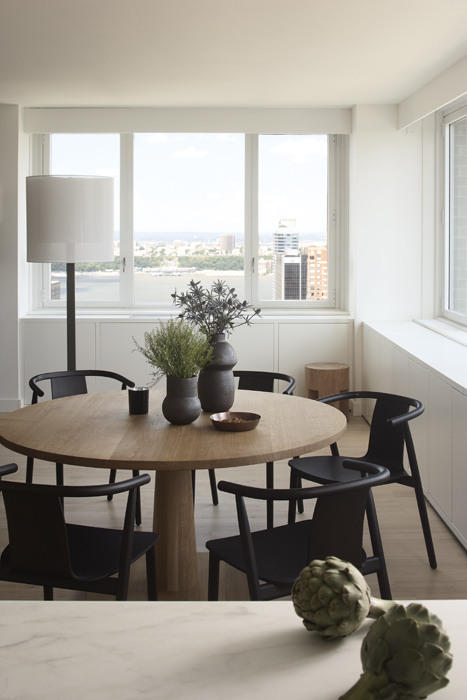 The dining area of this Upper West apartment features an intimate sitting for 6 around a solid English oak table. The black finished wood chairs add a graphic element grounding the airy space. Erin McGuiness’ ceramic vessels amplify warmth and vernacular quality. The east and north exposures afford views of the Hudson River and Central Park bringing in the nature.